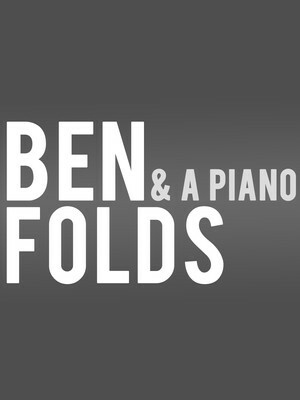 Ben Folds and a piano. 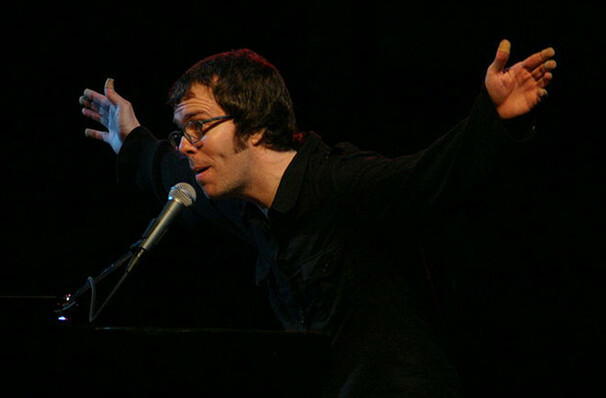 The front man of his self-named band, rock artist and producer Ben Folds continues to work with some of the most eclectic names in music and entertainment (remember his Common People cover that featured William Shatner and Bill Clinton? ), as well as pushing the envelope on alt-rock ever further. A self-confessed enigma, he prefers to stay out of the limelight except when touring, but can easily claim credit for some of music's most unlikely trends. Don't miss him and his piano on his latest tour! More recently he has worked with Amanda Palmer on her debut album, as well as with her husband Neil Gaiman and fellow novelist Nick Hornby, even contributing to offbeat animated movie soundtracks for Hoodwinked and Over The Hedge. He's just not your average rock star who loves the limelight, but you'll be still be talking about him long after you hear him. Seen Ben Folds? Loved it? Hated it? Sound good to you? Share this page on social media and let your friends know about Ben Folds at Thelma Gaylord Performing Arts Theatre. Please note: The term Thelma Gaylord Performing Arts Theatre and/or Ben Folds as well as all associated graphics, logos, and/or other trademarks, tradenames or copyrights are the property of the Thelma Gaylord Performing Arts Theatre and/or Ben Folds and are used herein for factual descriptive purposes only. We are in no way associated with or authorized by the Thelma Gaylord Performing Arts Theatre and/or Ben Folds and neither that entity nor any of its affiliates have licensed or endorsed us to sell tickets, goods and or services in conjunction with their events.